I am a dedicated consultant head & neck oncosurgeon/ reconstruction surgeon / oral & maxillofacial surgeon with enriched experience & expertise of nearly 4.7 years in handling difficult cases, studying the case history & finding out medical solutions. Over the years, I have performed more than 600 major / supra major head and neck cancer surgeries. 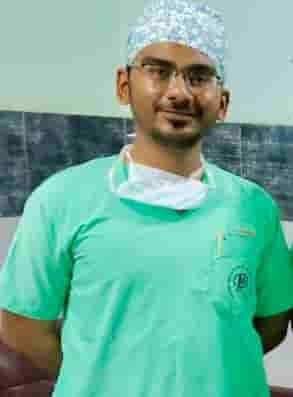 I am an academically astute with credentials as MDS; MFDS RCPS (Glasgow); FHNCS; FADI; FIIHNO; and FIFHNOS, U.S, presently pursuing Doctor of Philosophy (Ph.D.) in Oral & Maxillofacial Surgery from Saveetha University. I am passionate about improving longevity of patients afflicted with high-risk & complex carcinomas. During my associations I have gained a strong experience in liaising with authorities, patients and with national and international organizations. My key achievements include: ?Consultant @Apollo hospitals, Greater Kailash hospitals; Geeta Bhavan Charitable Hospital; Robert Nursing Home & Research Centre; Pulse Hospital; Care- N- Cure Head & Neck Clinic ?Adroit in delivering training to 2 junior fellows (Post MS/MDS) for Head & Neck Fellowship at HCG Curie Manavata Cancer Centre, Nashik, India ~Proven record of 77 International peer-reviewed research publication in various dental and medical journals ~Served as Editorial board member in more than 13 international journals; 3 book publications All through my career, I have demonstrated leadership, the capacity to think beyond the obvious, flexible mind, and situational awareness to anticipate situations and react rapidly and brought a range of innovations and interventions to complex case management. I have emerged as an astute mentor with sound knowledge of standard practices and ethics in medicine.